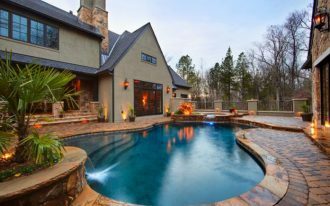 Flower arrangements for exteriors aesthetically add special beauty. 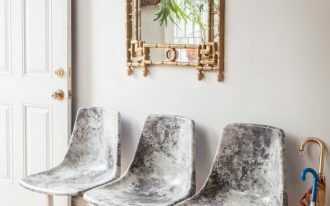 There are so many ideas of flower arrangements you may adopt for more trendy and stylish home exteriors, but in this page, I just wanna share those potentially applicable for small or limited space of exteriors where we often get much difficulty to mix & match the ornate things like these flower arrangements. 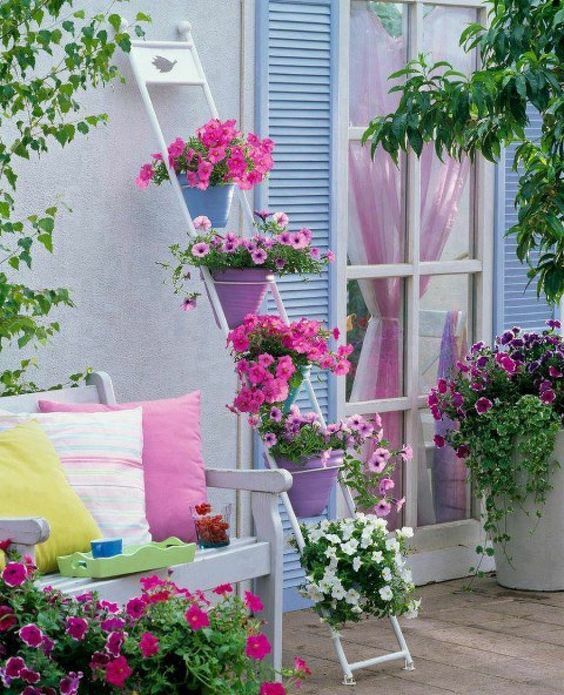 Flowers on ladder; a brilliant idea for a simply vivid ornament. Of course the ladder here is just decorative, and it’s specially designed for the plants. White looks bright when featuring the lively colorful flowers and pots. 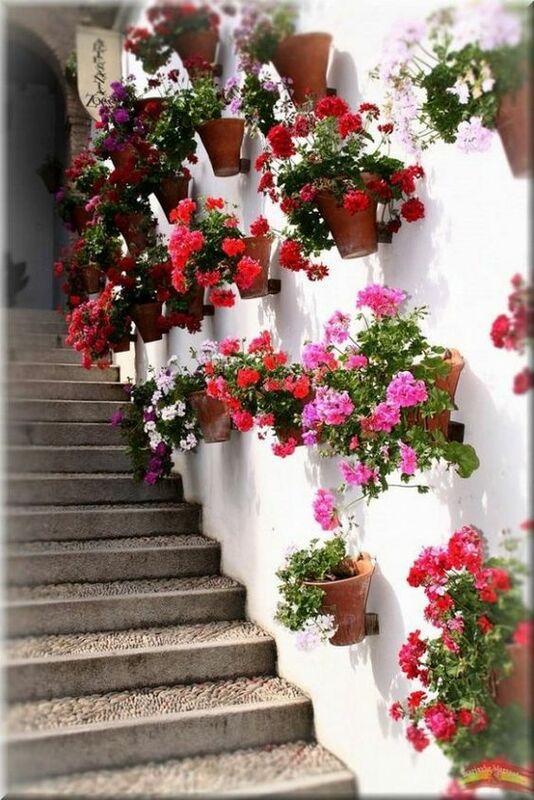 Different with other common decorative flowers ideas, this one uses burnt-clay pots randomly mounted on wall. The setting is perfect, using the wall as the media for placing all these flowers. 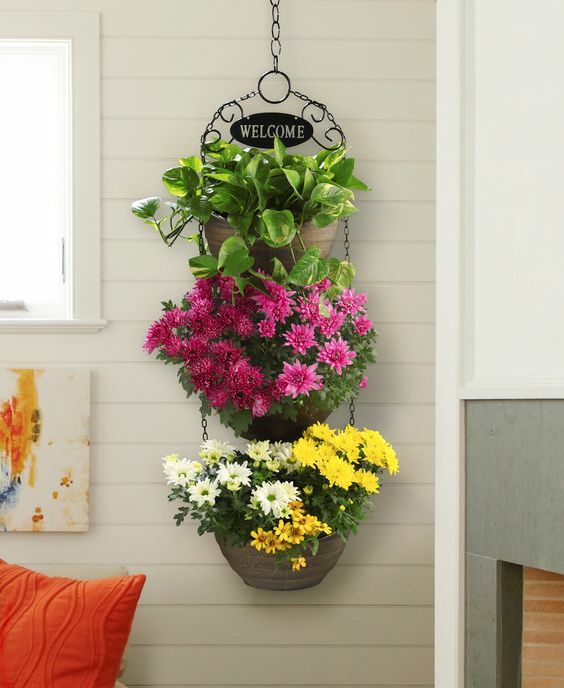 With this smart idea, along the stairway looks like a heavenly botanical setting. 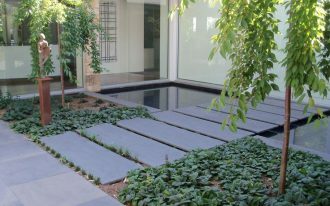 Triple layers of hanging plants; a great idea if you don’t want a monotone look in your exterior. You can select different kinds of decorative plants/ flowers to fill each layer and see the produced colors. Place this ornament on clean-look wall for more contrasting wall accents. 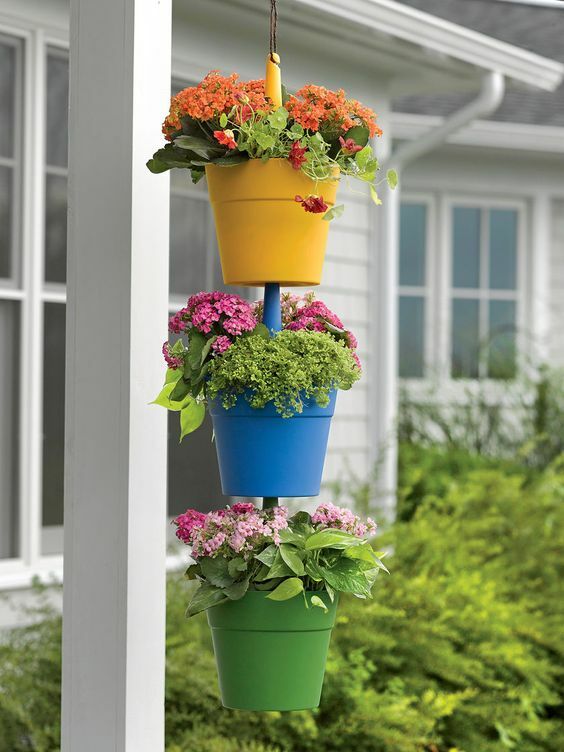 Make yourself creative by doing a fun trial of making a vertical pot for decorative plants. 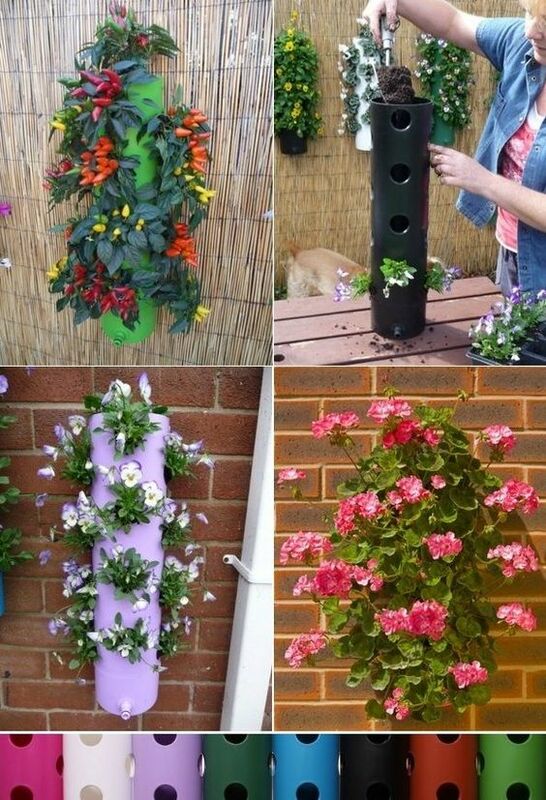 Visually, this kind of pot is unique, using an unused PVC pipe with several planting holes in all sides. 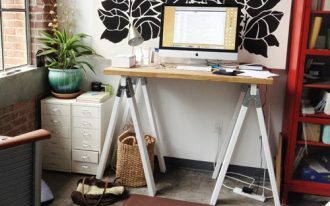 Practically, the pots can be flexibly hung on the fences or walls with brackets assistance. 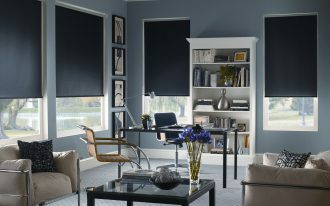 The color brought by the flowers and planters are pleasing and boosting up the feeling that easily stimulates much more energy for doing the daily activities. Put them wherever you want and enjoy the charm. 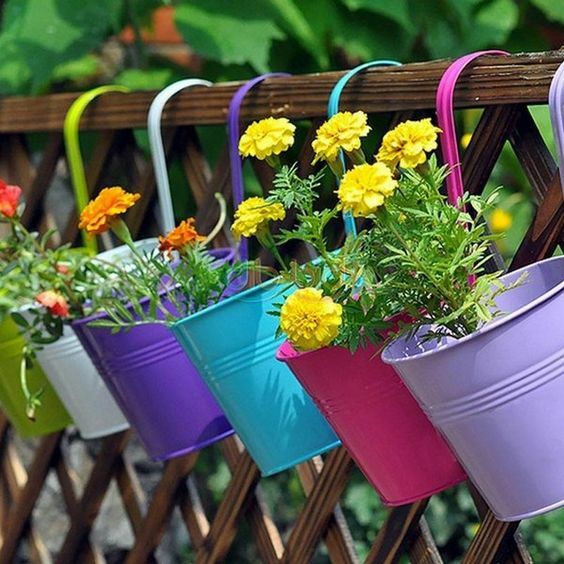 Colorful planters made of re-painted watering cans. 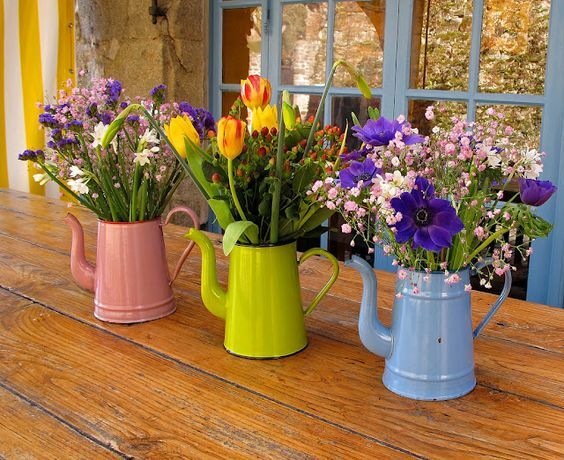 In this case, your watering cans are used as the planters, the media for growing up your plants. 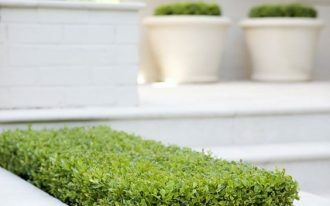 Cover up the cans with your favorite colored finishings for more attractive planter products. Hanging patio planters. 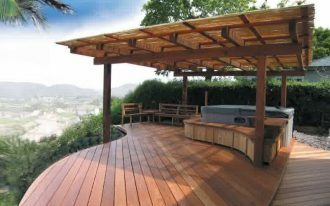 With different pop colors, they look so stunning, making your patio seems much more ‘blossoming’ everyday. Enjoy your daily Spring at the backyard while drinking a glass of fresh juice and gazing at such cool flowers & planters. 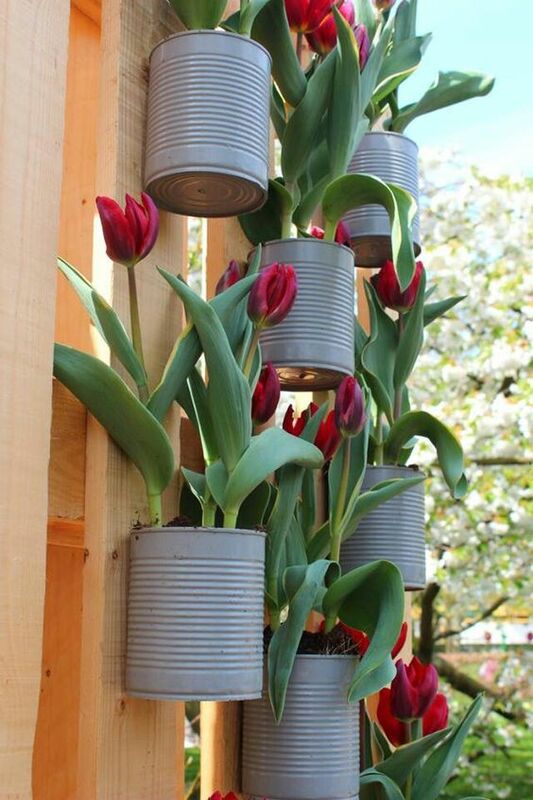 Let’s make our life more valuable by re-using the recycled items like these cans as the creative & effective planters. 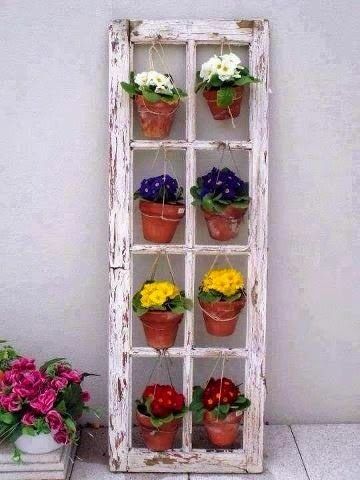 Upgrade your lovely garden with simply recycled salvaged items. This abandoned old window frame, for instance, looks much more precious & graced just with these pretty hanging flowers.